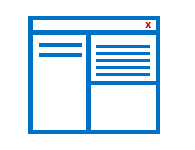 CDR Viewer Software supports Windows 10, 8.1, 8, 7, XP versions. CDR Viewer Software is a free as well as a fast utility to open CorelDRAW CDR file format. One can easily zoom in & zoom out CDR images from any of the CorelDRAW versions. This software allows browsing of corrupted & damaged CDR data files. 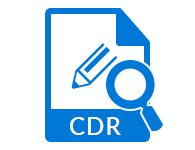 CDR Reader can easily explore CDR files of any size (600 MB) & any type without making single changes in file format. 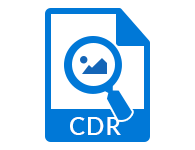 CDR Reader is allowed to browse all the CDR images with includes information such as size (KB), modified date, created date, accessed date, file location etc. You can perform Layer-by-layer browsing and viewing of image layer properties. 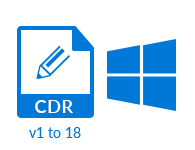 CDR viewer also provides fast recovery of CDR image files and can save the images into JPEG, PNG, BMP, TIFF and GIF formats. CDR viewer contains fast & easy to use graphical user interface. The software can be used by everyone if they are personal or professional users. CDR Reader supports easy to use batch conversion to export all CDR image files at once without affecting the file format & maintain CDR file structure. CDR Viewer Software browses the image files from any version of CorelDRAW from 1 to 18 (X8). 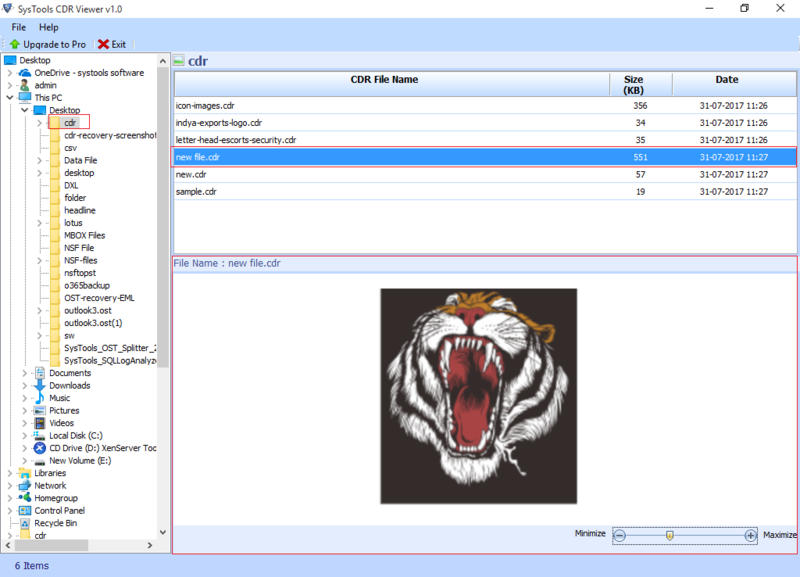 This application explores any versions CDR image files in original format. CDR viewer supports by any Windows Operating System version such as Windows 10, 8.1, 8, 7, Vista & XP OS. CDR File Viewer is a standalone application which does not require CorelDRAW installation on the system. It can work smoothly with CDR file of any version and give accurate results by showing data within CDR file. 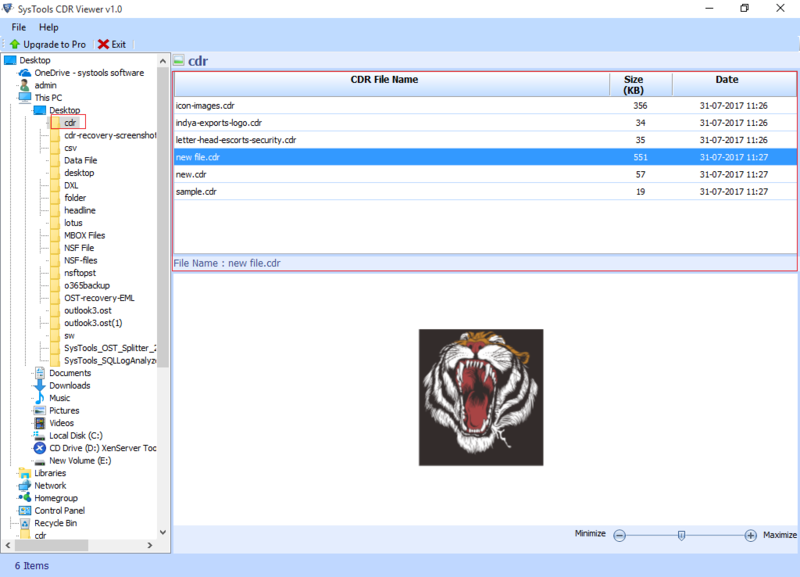 CDR Viewer Tool can easily automatically detect CDR files in your system. It can detect file of any size or version. The software is compatible with all the versions of the CorelDRAW application and does not impose any limitation on file size. Explain the working of CDR File Viewer Tool? Step 1: Install & run CDR Viewer Tool. Step 2: Browse and select CDR file from the left side of the window. Step 3: Click on the file and the software will open the file and shows the preview of the image. Step 4: You can minimize or maximize the image size. Step 5: If you want to export the CDR file, then upgrade to Pro version of the software. What is CDR file extension? CDR file extension represents vector graphic images & drawings file types that are created with the CorelDRAW. I am having a problem to view CDR file in CorelDRAW. Can CDR File Browser help me to open CDR file? Yes, CDR Viewer can open CDR image files. This tool has viewed any type of CDR file extension like corrupted or damaged files. Is there any risk associated with image files corruption while viewing CDR file format? No, the CDR File Viewer tool does not introduce any kind of corruption in the image files and is completely safe to open the CDR files in it. Is there any file size limitation with CDR Viewer? No, there is no such file size limitation with CDR Reader. 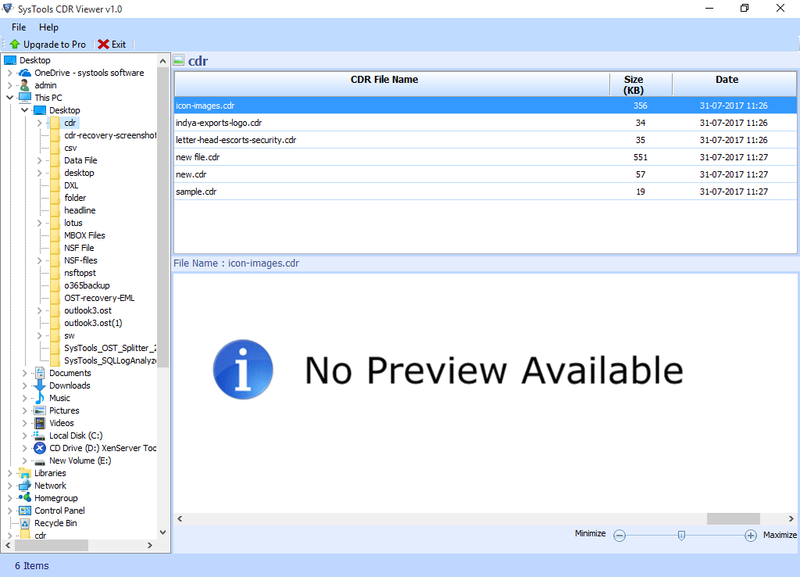 A user can easily view and read CDR file format in original format. Is the CorelDRAW environment is necessary to view CDR file? No, CDR File Reader doesn’t require CorelDRAW to view CDR file extension. A user allows of view CDR image file from all versions of CorelDRAW from 1 to 18 (X8). Can I open CDR file from any versions of Windows Operating System? Yes, CDR File Viewer tool allows a user to view CDR file from any Windows OS versions like 10, 8.1, 8, 7, Vista & XP. "Such an awesome application! Easily view and save CDR image files in BMP image format. Really nicely developed software to open CDR image files." "What an unbelievable tool! Recently my all CDR files get damaged and I was unable to view them. 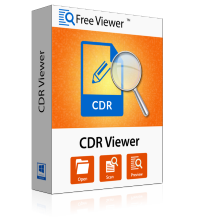 Thanks to FreeViewer team who have developed CDR Viewer tool to view CDR image files." "I must say that CDR File Viewer Software works smoothly on Windows 10 and all the below versions. Due to its compatibility, this tool proves to the best tool to view CDR files. Thanks, FreeViewer!" "One of my friends suggested this tool. It becomes easy for me to view all the CDR image files with the help of CDR Viewer tool. I must say that it is an amazing tool!"